A new update from Snapchat aims to give your fingers a break — and, possibly, to attract a new audience. The app that started in a fraternity in 2011 has transformed into a multi-billion dollar start-up with noteworthy growth and improvements. Snapchat's latest update changes how you view Snaps and connect with friends — and here's what you need to know in order to navigate the refreshed app. Last week, Snapchat unveiled its latest update, which includes a new tap-to-view system and improved Snapcodes. With the tap-to-view system, users no longer have to hold their fingers down to watch a Snap or Story. Rather, they can simply tap once to review the image or video, and then swipe downward to close it. Snapchat CEO Evan Spiegel admitted recently that, "It's just kind of annoying to hold your finger there for so long," hinting that the change was headed to the app. Popular predominantly among millennials, Snapchat has made several changes recently to appeal to a wider audience. The Discover tab, introduced in January, allows media outlets and other entertainment companies to share their content through the app. In this way, Snapchat can appeal to photographers, celebrities, and sports junkies, not just the typical college student looking to chronicle a Friday night rager. What's more, this new round of updates could help those new audiences add new members to the app. Not only are there more ways to find connections in the once-cumbersome app, but the interface is now more user-friendly. Following the update's release, NewsFactor reported that the "tap-to-view" system makes it easier for people — particularly older, less tech-savvy people — to learn to use the app. This could be because the new commands seem to mimic those of other mobile social media sites. Swiping downward is often associated with getting rid of a screen, and no other major social media network requires users to hold their fingers down on the screen in order to perform an action. It would seem that these are the types of changes that Snapchat needs to make to continue growing in the mobile-messaging space. From January 2014 to January 2015, Snapchat's growth among iPhone users almost completely paralleled that of Instagram, peaking at nearly 32 percent of iOS users, according to Bloomberg. On Android devices, the growth has been slower, hovering between 16 and 18 percent for the last part of 2014 and beginning of 2015. 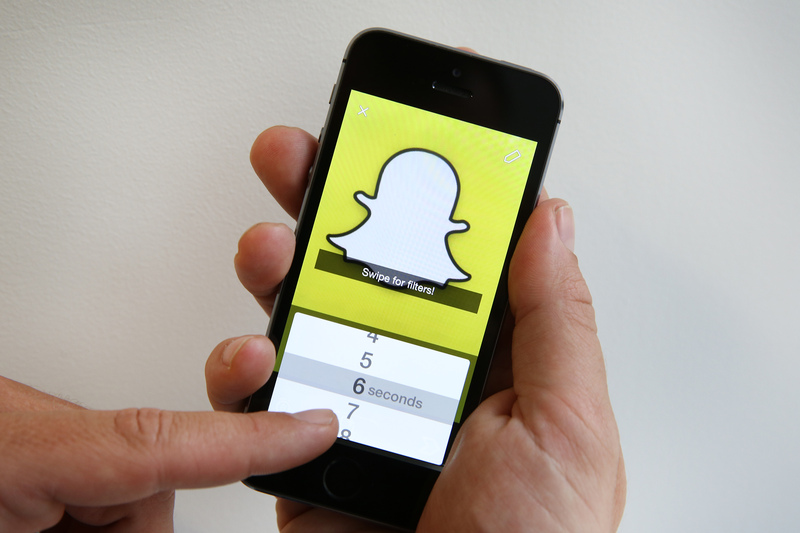 According to Pew Research Center, 41 percent of American teenagers used Snapchat as of April 2015. Where usage lags is within other age groups. Snapchat has come a long way from the frat house. Let's all be thankful for the new changes — and thankful that our post-workout selfies still disappear in 10 seconds.